'87 911 G50 Coupe. 50k. Orignal Paint. Serviced. 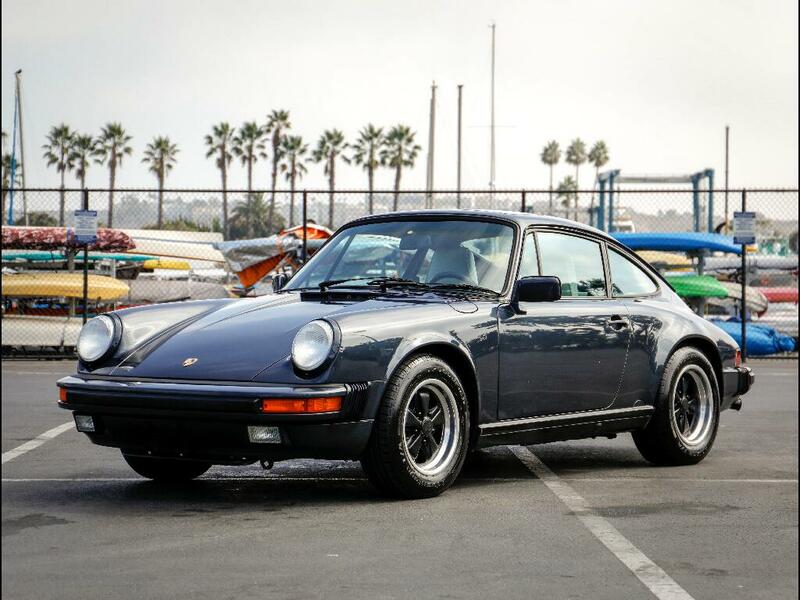 Chequered Flag International is pleased to offer this 1987 Porsche 911 G50 Coupe in Marine Blue with Grey Beige interior. 50,070 miles with clean Carfax. Fantastic body with excellent original paint (per paint meter reading). Someone tapped the drivers door when we were test driving it, we were able to fix the dent indistinguishably with paintless dent repair. Some light rash on hood. Tires fitted in 2015 very low miles ago. Nice interior, no redye to the seats. Dash does have a few light cracks from sun - shown. Mechanically superb and a delight to drive. We've just had it checked and serviced including: Oil filter, rebuilt front and rear brake calipers, front and rear brake pads, brake and clutch fluid., new brake hoses, new hood and deck lid shocks, replaced oil lines, change shifter bushings, A/C service and R134 conversion, changed power window switch, serviced transmission. In all around $5500 retail parts and labor. This is a very honest car all round and ticks all the right boxes: G50 Coupe, original paint, low miles, spoiler delete, all stock (except radio), great colors, superb condition, just fully checked and serviced. Comes with its original books (service book stamped to 45k), tools, jack, etc. Inspections encouraged. All sales AS-IS. Sales tax and license fees due if delivered in California.